The average retired worker earns a monthly Social Security check of $1,360, according to the U.S. Social Security Administration. And for most retirees, Social Security benefits are just one source of income, with many supplementing their checks with money that they've saved in 401(k) plans, IRAs, and other savings vehicles. The first step in determining how to best spend Social Security benefits is to calculate your monthly income from all sources. Then, determine how much of this income comes from Social Security benefits alone. If Social Security accounts for 70 percent of your monthly income, you'll have to be especially careful how you spend it. If it accounts for just 20 percent, you'll have a bit more leeway. Ideally, you'll enter retirement without a mortgage payment. But that doesn't always happen. You might choose to rent during your retirement years. Or, maybe you'll spend your retirement years in assisted living. Housing often remains a significant expense for retirees, with the Bureau of Labor Statistics reporting in March 2016 that seniors age 55 and older spend an average $16,219 a year on housing. Seniors from the ages of 65 to 74 spend an average $15,838. If you receive the average Social Security check of $1,360 a month, you'll receive $16,320 a year. This means that the average amount that retirees spend on housing would consume most of your Social Security income each year. The Bureau of Labor Statistics reported that seniors from the ages of 65 to 74 spend an average $6,303 a year on food. This makes sense: You have to eat, whether you're working or not. Make sure, then, to reserve part of your Social Security check for groceries and meals out. You do have control over this expense, of course. You can eat out less often and cook at home more, which would reduce your food expenses. But setting aside 20 percent or so of your monthly Social Security check for food should suffice. Health expenses are one cost you have little control over. Sure, you can exercise and eat well. But you might still suffer health setbacks. 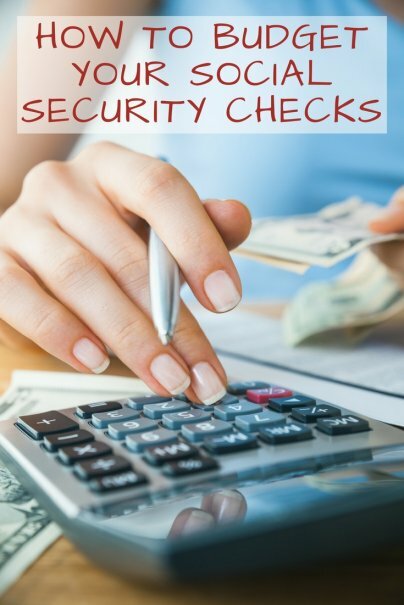 It's important to reserve at least some of your Social Security check to cover these sometimes unexpected costs. Consider saving an additional 20 percent of your Social Security benefits for medical spending. If you find that these three big expenses do swallow most or all of your expenses, you'll have to dip into your retirement savings and other income vehicles to cover costs such as travel, transportation, entertainment, and any other monthly bills. Budgeting your Social Security check highlights just how important it is to have multiple income sources at your disposal after retirement. As you can see, Social Security doesn't go that far when it comes to covering the basic living expenses of many seniors.